Looking for information on a car? Here is the easiest way to get around it and swiftly. 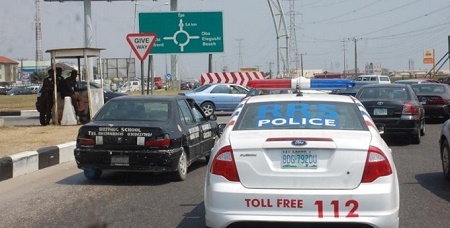 In line with the Smart City initiative of the present administration, the Lagos State Government, through the State Motor Vehicle Administration Agency (MVAA), has announced the creation of a website – www.lsmvaapvs.org - through which motorists and law enforcement agencies can henceforth confirm the authenticity of number plates issued by the Agency. The General Manager of MVAA, Lagos, Mr. Lateef Lawal, who disclosed this in his office at the Secretariat, Alausa, said the platform also became necessary in order to eradicate the unnecessary harassment of licensees by officials of the Nigerian Police, Federal Road Safety Corps (FRSC) and other Security Agencies. He emphasised that the situation became worrisome and embarrassing to the State Government and its clients when incessant reports, calls, SMS, e-mails and visits from licensees became rampant that vehicles duly registered with Lagos State number plates were being impounded by FRSC and other security officials. While wishing Lagosians a joyful yuletide and prosperous 2017, Lawal enjoined motorists to comply with driving rules and make sure that their vehicle particulars are up-to- date in order to avoid being penalized by the authorities concerned during the period.